We have an immediate opening for a Maintenance Tech. 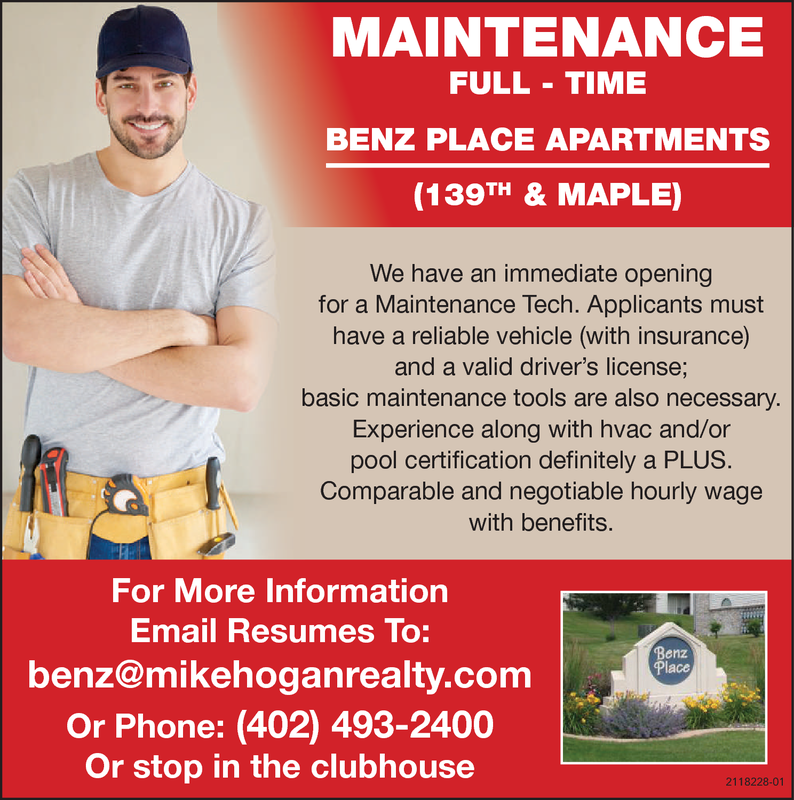 Applicants must have a reliable vehicle (with insurance) and a valid driver's license; basic maintenance tools are also necessary. Experience along with hvac and/or pool certification definitely a Plus. Comparable and negotiable hourly wage with benefits.